Mr. K.K. 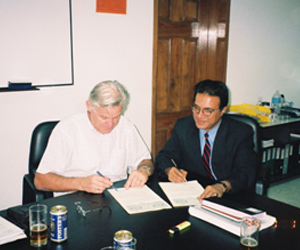 Azam is signing the Agreement with Mr. R.S.M. 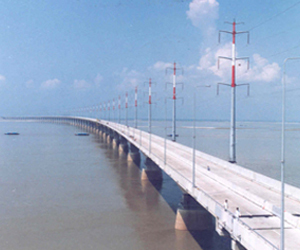 Rensma, Project Manager of Edmund Nuttal Ltd. to provide staffing services for Bhairab Bridge Project in Bangladesh. Mr. K.K. 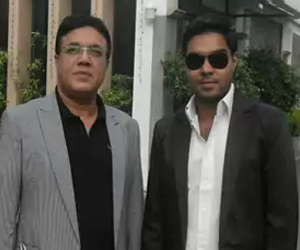 Azam with Mr. R.S.M. 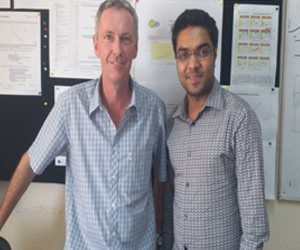 Rensma, Project Manager and Mr. A. Malik, Financial & Admin. 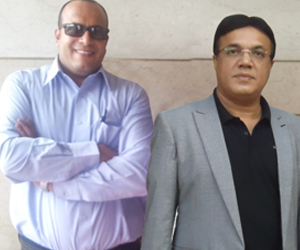 Manager of Edmund Nuttal Ltd. of Bhairab Bridge Project in Bangladesh, along with Mr. S. H. Masud, Site Manager (Project) and Mr. M. A. Haque, Admin Manager of Azam Enterprise. Mr. K.K. 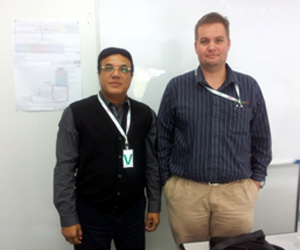 Azam with Mr. Tom Van Breda, Project Manager of BAM Malaysia. Mr. K.K. 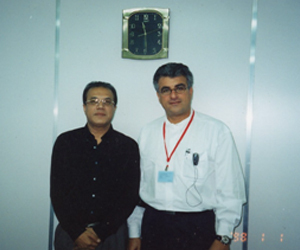 Azam with Mr. Majed Fares Zaki, Project Director of BAM International of UAE. Mr. Khandaker Rajib Hasan with Mr. Mathew Ball, Project Manager of MT Hojgaard a/s of Denmark at Saidabad Water Treatment Plant Phase-2. Mr. K.K. 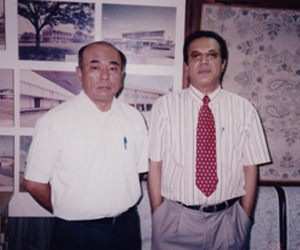 Azam with Mr. Takashi Iwata, Project Manager of Shimizu Corporation of Japan during the construction of Rupsha Bridge Project at Khulna in Bangladesh. Mr. K.K. 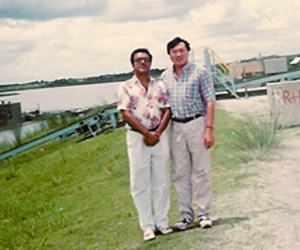 Azam with Mr. Sim, Construction Manager of Jurong Engineering Ltd. of Singapore during the construction of Jumuna Fertilizer Factory at Sharishabari, Jamalpur in Bangladesh. Mr. K.K. 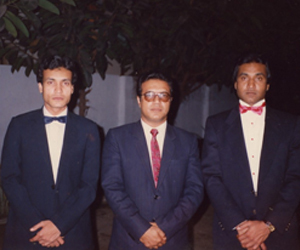 Azam with his Advisors and brothers in USA. Mr. K.K. 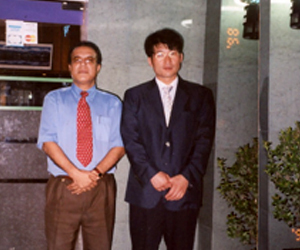 Azam with Mr. J. H. Park, Executive President of Han Jun Construction Co., Ltd. after a business meeting in Dhaka, Bangladesh. Mr. K.K. 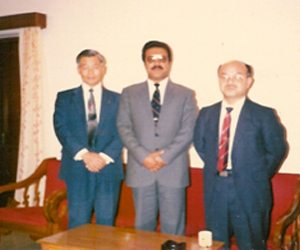 Azam with the Project Manager and the Construction Manager of NEC Corporation of Japan during the construction of Greater Dhaka Telecommunication Network & Expansion Project under Sumitomo Corporation of Japan. Mr. K.K. 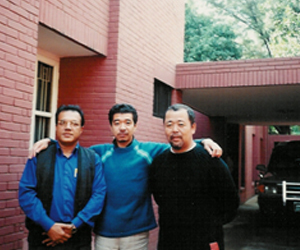 Azam with Mr. Oshida, Project Manager and Mr. Noda, Admin. Manager of Fukuda Corporation of Japan during the construction of Cooling Tower - Addition Project at Fenchugonj, Sylhet in Bangladesh. Mr. K.K. 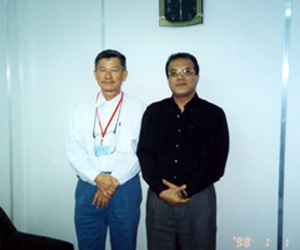 Azam with Mr. R. HAGIWARA, Project Manager of Mitsubishi Heavy industries Ltd. during the construction of Jumuna Fertilizer Project at Sharishabari, Jamalpur, in Bangladesh. Mr. K.K. Azam with Mr. Martial Dautrey, Project Manager of Degremont of France during the construction of Saidabad Water Treatment Plant in Dhaka City in Bangladesh. Mr. K.K. 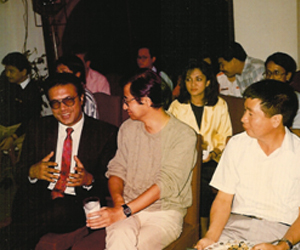 Azam with Mr. Hwang Yiong Ming, Project Manager of Jurong Engineering Ltd. along with others in a party in Singapore. Mr. K.K. 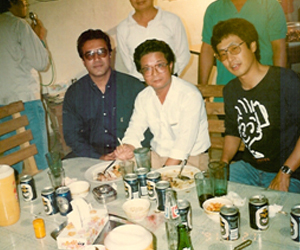 Azam with Mr. W. J. Lee, Project Manager and Mr. K. W.Lee, Admin. 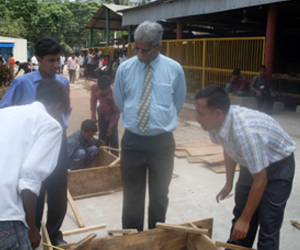 Manager of Hanil Construction Co. Ltd. during the construction of Saidabad Water Treatment Plant Project in Bangladesh. Mr. K.K. 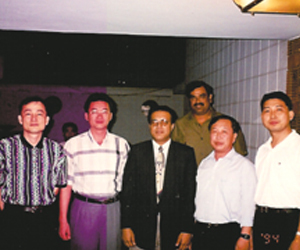 Azam with Mr. Khor Kim Lee, Executive Director of Amen Engineering International of Saudi Arabia during the employment of Bangladeshi Workers at Al Kashim Cement Factory in KSA. Mr. K.K. 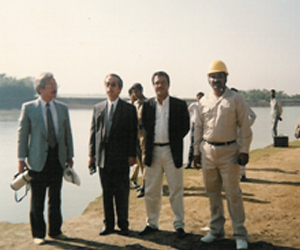 Azam with the Japanese clients of Sumitomo Corporation of Japan, during the construction of 90 MW Power plant project at Fenchugonj, Sylhet in Bangladesh. 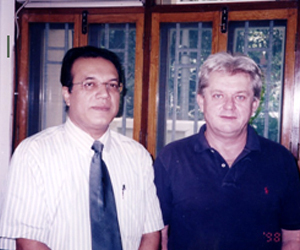 Mr. K. K. Azam and Mr. Khandaker Rajib Hasan at Ital Thai Office in Bangkok. Mr. K.K. 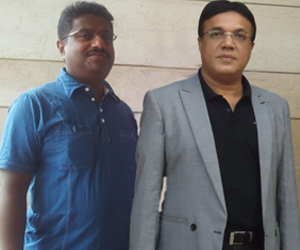 Azam with Mr. Mathew Samuel, Sr. HR Officer of BAM International of UAE. Interview is taking by Mr. Errol Mathias, Administration Manager of BAM International of UAE. Interview is taking by Mr. Billy, Senior Engineer of BAM International of UAE. 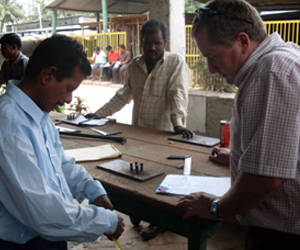 Workers are gathered for Interview at Testing Center. Selected workers are moving to airport to join the overseas job. Mr. K.K. 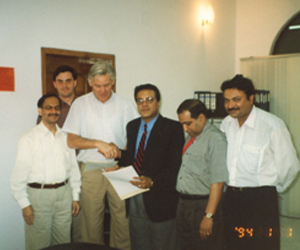 Azam with Mr. Fady F. Kabalaoui, General Manager (Eastern Province) of International Center Co. for Commerce & Contracting of Saudi Arabia during the employment of Bangladeshi Workers at Al Kashim Cement Factory in KSA. 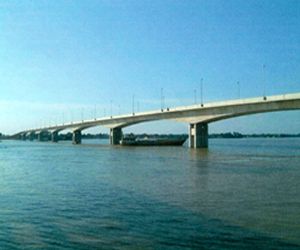 Jamuna Multipurpose Bridge in Bangladesh, the workers were provided by Azam Enterprise for the main construction contractor Hyundai Engineering & Construction Co. Ltd. Bhairab Bridge in Bangladesh - the workers were provided by Azam Enterprise for the main construction contractor Edmund Nuttall Limited. 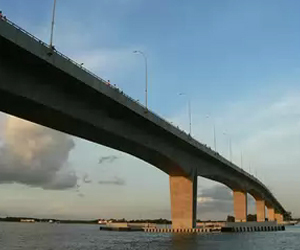 Rupsha Bridge in Bangladesh � the workers were provided by Azam Enterprise for the main construction contractor Shimizu-Ital Thai JV. 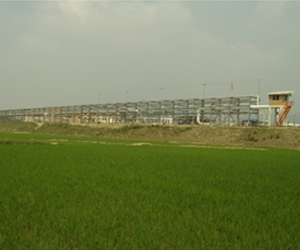 Chittagong Urea Fertilizer Factory in Bangladesh – the workers were provided by Azam Enterprise for Kazima Corporation of Japan. 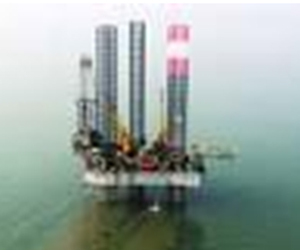 Bibiyana Gas Exploration Project at Bibiyana, Sylhet, Bangladesh � the workers were provided by Azam Enterprise for Chevron Bangladesh Block Twelve Limited of USA. Contract No. 2005-213, dated 13/04/2005. 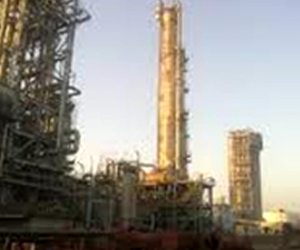 Sangu Gas Field Development Project at Chittagong in Bangladesh � the workers were provided by Azam Enterprise for Cairn Energy P.L.C. of U.K. contract no. 9801/001/05, dated 28/04/1998.